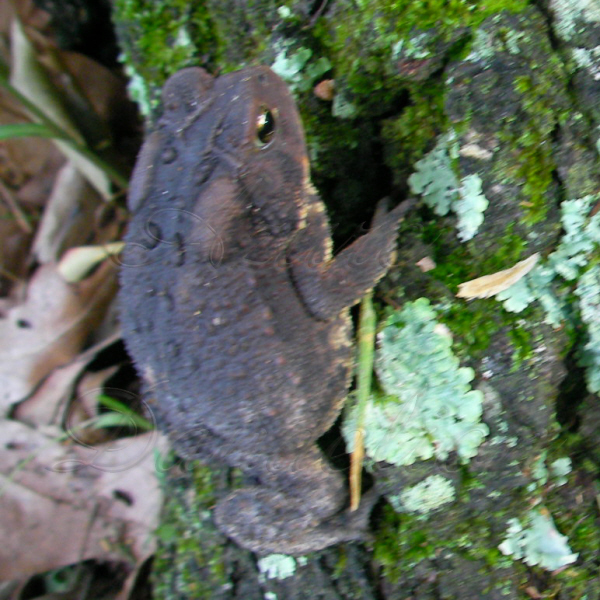 This toad was under some slab wood boads that we moved. 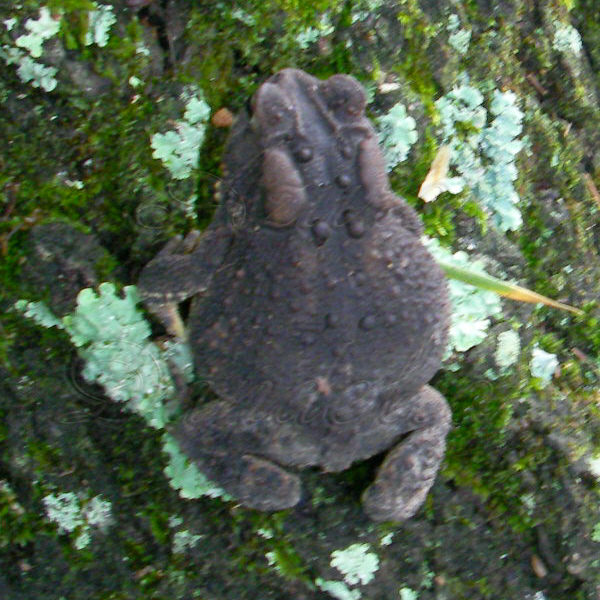 He was really dark when we first sat him at the base of the tree. After a few minutes of being in daylight again he started to lighten up. After we finished moving all the boards we put the toad back in the general area along a fenceline. We built him a new home by making a sturdy pile out of rocks, stacking them so that they created a cave for him. 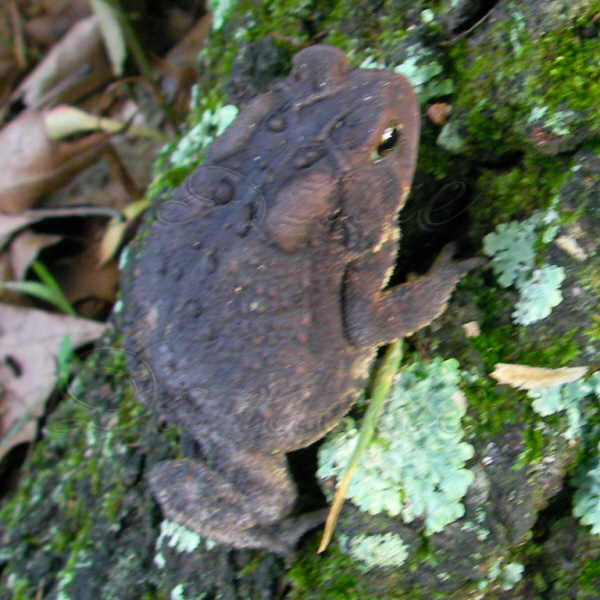 Toads are great for the garden as they eat so many bugs that are harmful to your veggie plants.